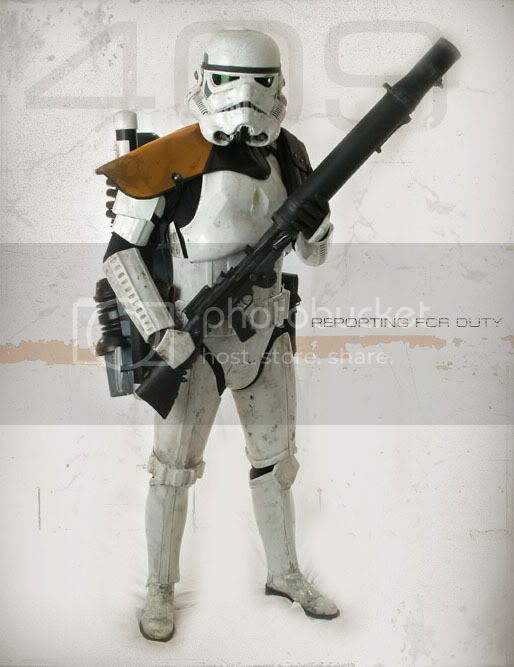 Classic star wars sandtrooper that needs editing. And change the eyes to orange. Thanks and thats all that i need. lol i was wondering when this would finally reach the vine. is there anyone that can do tis?
" Classic star wars sandtrooper that needs editing. For starters the 409 in the background, can someone change it to 442 And change the eyes to orange. Thanks and thats all that i need." I can do the orange eyes part, but I don't know if it's possible to change the number. As you can tell, I'm not skilled in PhotoShop. And what shade of orange?? I can do the orange eyes part, but I don't know if it's possible to change the number. As you can tell, I'm not skilled in PhotoShop. And what shade of orange??" That's kind of brown, but ok. Sorry, but I gots to go. Methos might get around to it, and he's way better.